One bedroom, two bath partial ocean view fifth floor condo. This property sits along the ocean which is ideal for walking, windsurfing, kite surfing, and paddle boarding. A couple of minutes away from Kamaole Beach I, one of the great beaches on the sunny South shore. Air conditioning in living room and bedroom. Features 2 TVs, air conditioning, queen bed and a sofa sleeper + extra daybed! Remodeled kitchen and bathrooms! We had a wonderful week on Maui and loved our stay. Location was very central to anything we wanted to do on the island. The resort facilities were beautiful, and everything about the condo was great. It was a perfect mix of modern updates and traditional island charm. of course Awesome stay, very clean and very nice 121B condo! Weather was great Accommodations were very good Great to be able to eat in due to high cost of many restaurants and kitchem was well stocked for cooking plus there wwere multiple gas grills in courtyard to use. Aloha Don, Thank you for taking the time to offer feedback about the Maui Sunset and unit 504B. It is wonderful to see that you were happy with this visit. Mahalo, Kumulani Vacations & Realty staff. We had a wonderful time at the Maui Sunset. Our condos; 403B & 504B were excellent, clean, and had wonderful accommodations. We Love the Maui Sunset, our favorite place (nice location) to stay for over 15 plus years. Aloha Richard, This is a wonderful comment and review. We very much appreciate your loyalty to Kumulani Vacations and Maui Sunset. 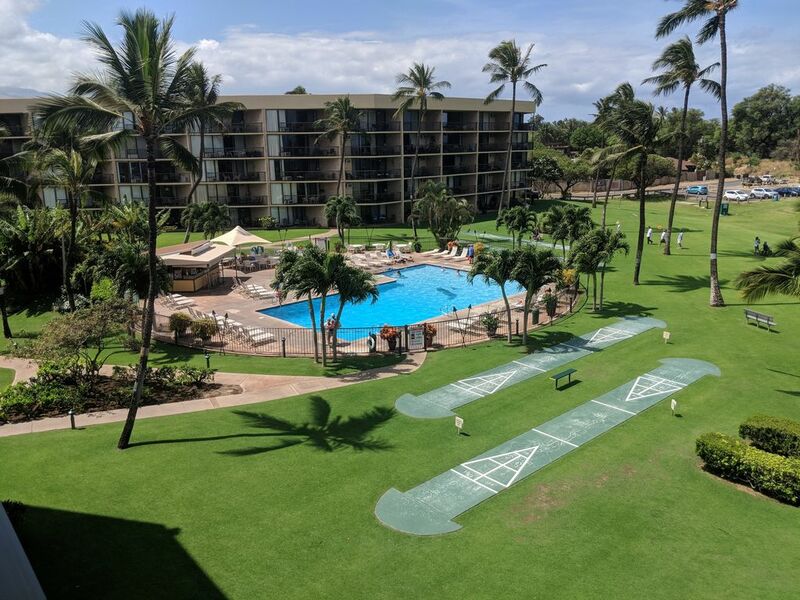 Mahalo, Kumulani Vacations & Realty, Inc.
My wife and I stayed for 26 days in 504B at Maui Sunset and thoroughly enjoyed staying in this particular unit. It was all tile floors which made it easy to clean and is great instead of carpet. The bathrooms were clean and having that 2nd bathroom with shower makes it nice to shower coming in from the beach or pool. The kitchen was well stocked with plates, bowls, and utensils - way better than most rental accommodations (it's a vacation rental condo and not a 5 star hotel for those who are critical !) The unit also has some games, water sports equipment and other items that are not normally included in a condo rental which is a great renting feature. Leave the screen door on the Lenia open and the shutters on the main door open and there is a nice cooling breeze that cools the unit, instead of using the A/C - this was nice. My only (only 1 !) complaint is that the master bed is 2 small. My wife and I are 6 feet tall and the bed was pretty tiny. My Only Complaint ! Awesome Condo for a couple or small family !!! It is also a nice 10 minute walk to shopping and other places which is nice. I had email communication with the Management Company and they were very very helpful and accommodating as well. Our family has stayed at this property on several occasions so there were no surprises with location or amenities available. This unit in particular was cluttered with too much furniture and the kitchen was stocked with what seemed like garage sale purchases. Linens and towels were clean but old. Management company responded quickly to concerns and new beach towels were supplied.